Herrmann Associates understands that training our customers is a vital component to our business. 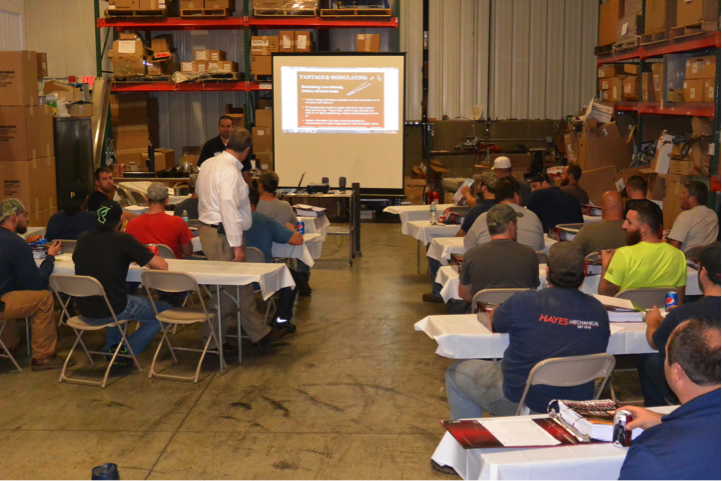 Our training programs provide our customers with the most up-to-date information about their customized HVAC system, which ultimately results in the equipment running efficiently and cost-effectively. We partner with our manufacturers, including Roberts Gordon, Raypak and others, to bring quality factory training to our customers at our centrally located Pittsburgh facility. If you are interested in scheduling a training session for your team, please contact us to get on our mailing list about future sessions.